This item will be on backorder until May 25th. Ideal when clients need to be accommodated in quick succession, table cover rolls are essential to the busy bodyworker's practice. Disposable roll covers eliminate the hassle of washing, drying and folding linen table covers. The roll holder allows you to cover the massage table in a quick, efficient manner, providing necessary table hygiene for the client while reducing time and energy for the bodyworker. Essential for the busy practice, highly convenient for any practice. The white spun bound non-woven paper provides a breathable, soft surface for the comfort of your clients. The paper rolls are perforated at 2.3ft intervals letting you easily choose your desired length. At 27.5" wide, the paper fits nicely across most massage tables and is ample enough to accommodate nearly every client's width. The total length of the paper roll is 50 yd., which means it lasts longer and saves you money. The lightweight black Paper Roll Holder fits easily and unobtrusively into both headrest/accessory outlets on your massage table. Most of our massage tables have headrest/accessory outlets at both ends, allowing for easy installment of the roll holder at the foot end of the table while the headrest is on the other side. 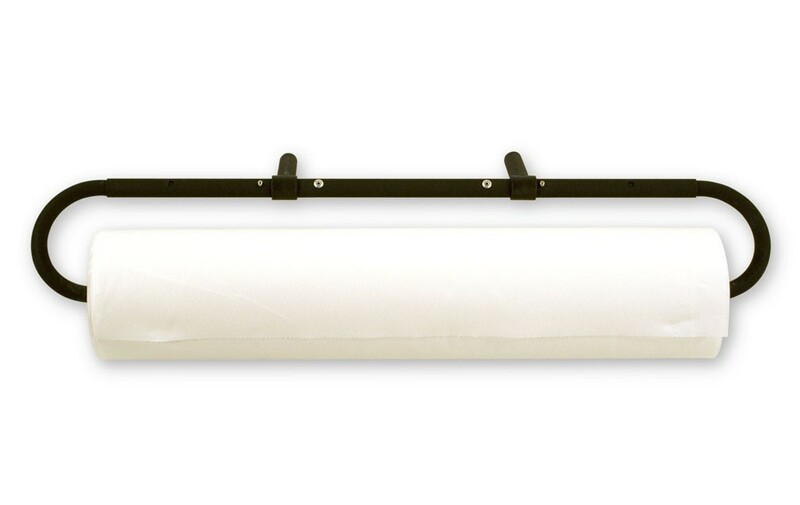 The distance between the centers of the Paper Roll Holder poles is 8" with a pole diameter of ¾" which means the Paper Roll Holder fits all of our massage tables. For delivery locations within the continental United States States EXCEPT California, Oregon, Washington or Arizona, there is a $4 handling charge per order PLUS a shipping fee for each item. The shipping fee for this item is $5. If you are purchasing this item and another item with a $1 shipping fee, and your delivery location is anywhere in the continental United States EXCEPT California, Oregon, Washington or Arizona, your total S&H cost will be $10 = $4 handling charge + $5 item shipping fee + $1 item shipping fee. If your delivery location is in California, Oregon, Washington or Arizona, the shipping fee for this item is $7. The product for which you find a better price must be identical in every manner, including, but not limited to, model, color, brand, quantity and condition, as the item you have purchased from BestMassage.com. The claim must be made no later than 14 days after the date of your order from BestMassage.com.